All shipments to the United Kingdom incur £3.95 in shipping costs. This applies to all of our products save one exception (see below), independent from the price of your order and the number of shoes and/or shoe accessories you have ordered. 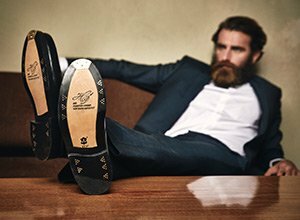 Extra charges only apply if you have ordered a shoe polishing machine – the extra delivery charges for these amount to £19.95. You can see all delivery charges on the detailed product pages, the check-out system, and the order page. Please note that SHOEPASSION.co.uk is only available for customers in the United Kingdom. You will need a UK delivery and payment address to order from this site. Furthermore, the order must be placed from a UK IP address. Unfortunately, without all of the above, you will be unable to make a purchase from our UK page. If you would like to return any article, you will only have to pay the return shipping costs if the value of the item(s) you are returning is £40.00 or less. If the value of the item(s) you are returning is more than £40.00 and the return package is labeled with the return label we provided in the shipping confirmation, we will take on the return shipping costs. In case of an exchange, we will send you the new item with no additional charges. For detailed information please read the My Returns section under your user account. If you have any further questions, please do not hesitate to contact us via email at service@shoepassion.co.uk.